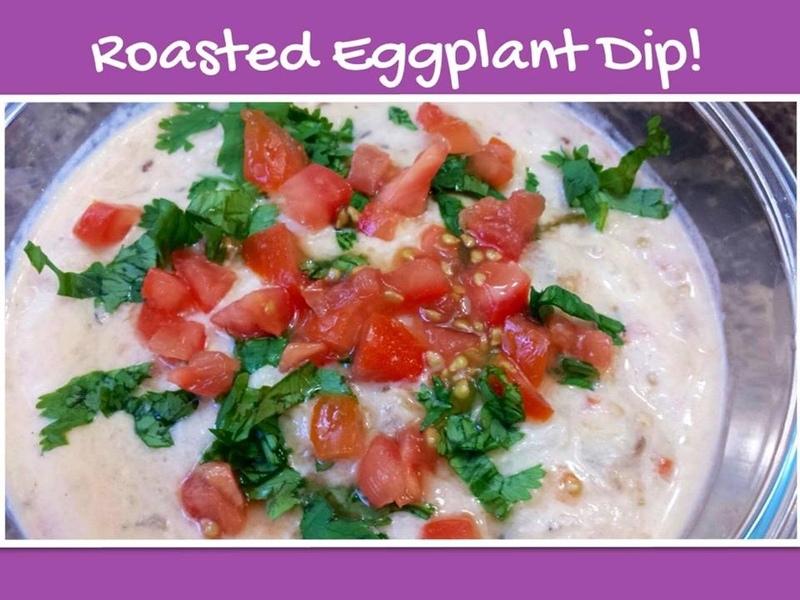 Roasted Eggplant Dip….Smoky eggplant, nutty tahini and tangy yoghurt come together to make a healthy appetizing dip! Rub eggplant with oil. Roast over open flame till blackened from all sides and cooked through. Cool and peel away blackened skin. Mash roughly with fork. Now heat oil, add chopped garlic, onions, tomatoes, green chillies and the mashed roasted eggplant and cook for 2 minutes. Cool and mix with yoghurt. Add a tbsp of tahini, some salt, paprika, all spice and a squeeze of lemon juice. Garnish with chopped tomatoes and chopped parsley/cilantro. Serve with warm toasted Pita bread!